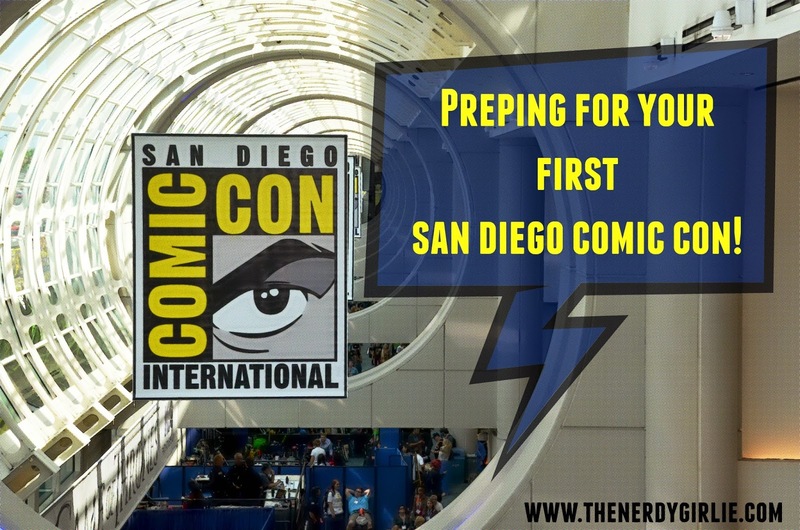 Editors Note: I began this blog to help people enjoy San Diego Comic Con. But I soon realized I wanted more. 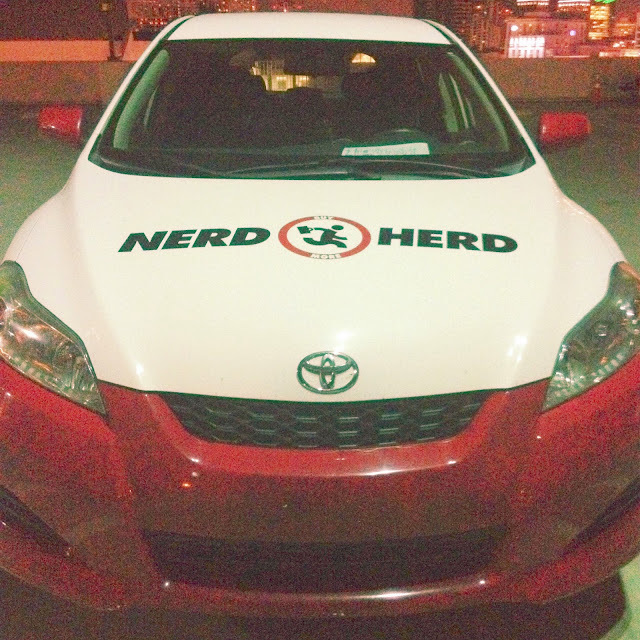 Enter the nerd girl community. I was so happy to discover some amazing fangirls upon beginning my blog. One of those very first nerd girl friends I made was Sam. It took us almost three years to meet IRL but once we did it was nerd heaven. Like we'd always seen each other in person! I am so happy and excited to have this amazing woman in my life! GO pre-order her amazing book Fangirl's Guide To The Galaxy NOW! Okay, here’s the honest truth: this year I’ll be hitting up my first-ever SDCC, and I’m terrified. It’s not like I’m a con noob, either – this year alone, I’ve been to NYCC, ECCC, C2E2, Fan Expo Toronto, and more. I even wrote a whole chapter on preparing for cons in Fangirl’s Guide. But there’s something about the size of San Diego that’s particularly intimidating – even though NYCC boasts nearly the same attendance numbers, you never hear stories of people standing outside in lines for four days in order to get into a panel, you know? So even though SDCC is still a couple of months away, here’s what I’m doing to prep for my big, exciting first time. Hopefully you’ve already entered the hotel lottery and figured out where you’ll be staying. But you should also figure out how you’re going to be getting to the con each day (Shuttle? Car? Will you need to worry about on-site parking?). Also try to remember to pack light on the way there so that you can fill your suitcase with goodies on the way home – though try to limit yourself to buying things you can only get at the con. If you can find that Funko at your local comic book store, leave it on the con floor! So this is obviously the worst thing, but you’ve got to figure out your money situation. After you factor in your transport, hotel, and food game, you’ll need to factor in how much you want to spend at the con itself. Always budget a little more than you think you’ll need, just in case – and don’t forget to take cash out before you get to the con, because those ATM lines are going to be wacky. The schedule isn’t out yet, but there might just be one extra-special panel you think it’s worth standing in line for. If you’re going to try and pull an overnighter, bring food and water, a pillow, an eye mask and earplugs, brushes for your teeth and hair, and a jacket for chilly evenings. Now’s a great time to buy the little things you’re going to need for the week so that you don’t feel so panicked the day before your flight. Comfy shoes and gel insoles are a must, as are any tech you might need – cameras and portable chargers come to mind (seriously, portable chargers will save your life). 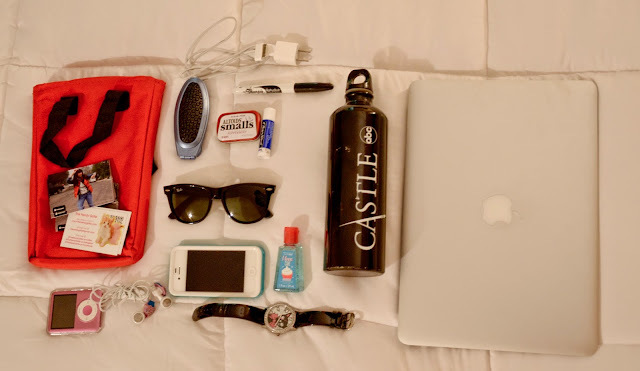 Find an awesome backpack or messenger bag to store all your necessities in as well – you don’t want to be caught with just a tiny purse at the con. What do you think, SDCC vets? Am I missing anything important for a few months out? Let me know in the comments, or on Twitter @SamMaggs! Thank you Sam for your awesome advice. I cannot wait to hang out again, this time at the most EPIC con of them all! See you nerds in San Diego in only a few more months!!! Wow I've never heard of people pulling all nighters.. I obviously haven't been to any big cons haha I made the mistake of not bringing enough cash to one.. so much regret! Oh man, overnight lines. So crazy! SDCC sounds like a blast. Hopefully I'll make to one! Oh my gaaad! I am insanely jealous of you! My friends and I have been dying to go for years but as we live in the UK and quite broke we can only dream. Have fun out there! !